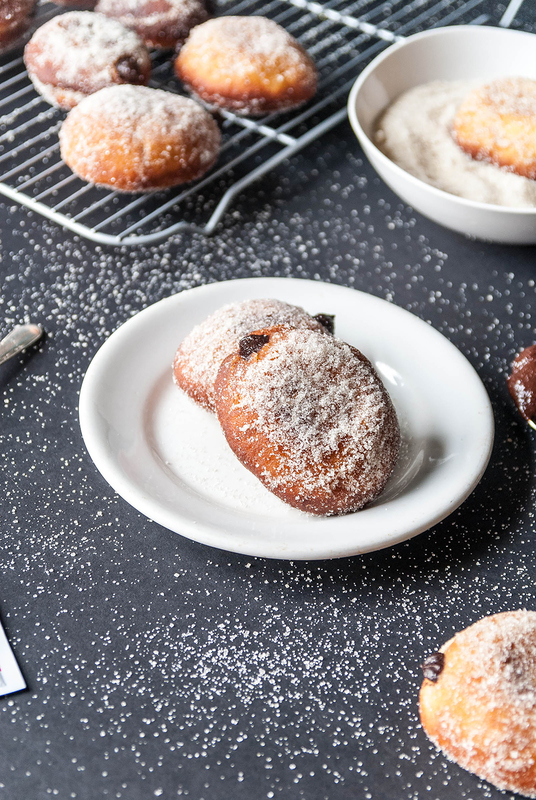 Nothing can compare to soft baked brown butter beignets topped with a sweet orange brown butter glaze. There’s big flavor in these bite-sized treats! Heat the butter in a small saucepan over medium heat. As the butter melts, whisk it frequently. Cook for about 3 minutes or until the butter turns a light amber color and has a nutty aroma. Watch it closely, it can go from brown to burnt rather quickly. Remove from heat, transfer 3 tablespoons to a small glass bowl and let cool to room temperature. Set aside remaining brown butter, to be used for brushing. In a small bowl, stir together the warm water, sugar, and yeast. Let sit for about 5 minutes, until the yeast is dissolved and foamy. With well-floured hands, shape the dough into a ball and place it in a lightly oil bowl. Cover the bowl with plastic wrap and set in a warm place to rise until doubled in size, about 2 hours. rise for about 45 minutes. Brush the tops of each square with remaining 2 tablespoons milk and bake for 12-15 minutes or until golden brown. Make the glaze: If the brown butter has begun to solidify, warm it in the microwave for 15 seconds. In a medium bowl, whisk the brown butter, confectioner's sugar, orange zest, and orange juice until smooth. 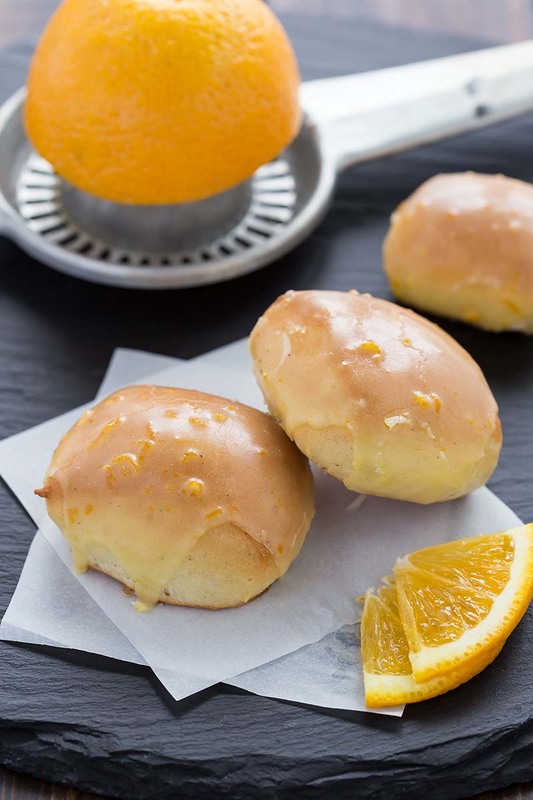 While the beignets are still warm, drizzle the tops with orange brown butter glaze. Absolutely delicious. Light and airy since they’re not fried. Will definitely be baking these today. Thanks for this delicious recipe! Yum going to try this. Thanks for sharing this recipe. I love beignets, bring me memories of New Orleans.